Davide Tardozzi, team manager, says: "He's doing amazing, and he wins for him, not for the bike, and he's where he should be, better there winning the title than here." "Bautista He's doing amazing, he wins for him, not for the bike, and he's where he should be. 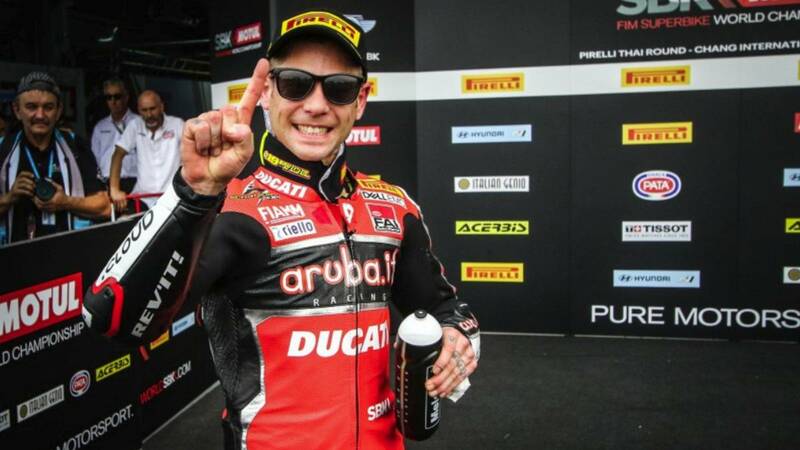 Better there winning the title than here, "he says at first before emphasizing that " the new Ducati is very good, but he wins for him, for how he drives it, he takes it like a MotoGP and it looks like he has enormous confidence. Bautista, actually, he throws and plays it only in the first two or three laps, because then he goes strolling and enjoying ". By the way, that loss of 250 revolutions in the engine of the SB4 Panigale V4R by regulation, to try to match Bautista with his rivals, mainly Rhea and his Kawasaki, take it to laugh in Ducati, because some people say that until now it was partially capped, with which no loss of power should be noted. This weekend in Assen they will realize it. In that paddock from the ranks of Kawasaki have assumed that Ducati has passed them over, with a motorcycle of 40,000 euros on the street that is actually worth more, which has 252 horsepower against the 227 of its ZX 10 RR, and gives 16,350 rpm compared to its 14,600. Of course, compared to the 300 rpm disadvantage with the BMW (14,900) they do not say anything, because they win it. And it is that more than the maximum number of revolutions what matters is the way to give them. And that's the best the new Ducati, in the hands of Bautista, because his partner Davies does not come close to his results.